Pianist Miki Hayama was born in Kyoto, Japan. She began to play piano and Wadaiko (Japanese drums) when she was 6 years old. During her junior high school year, she was first introduced to Jazz because of her father's Jazz collections and became interested in jazz. She studied at Osaka College of Music where majored in classic piano for two years. 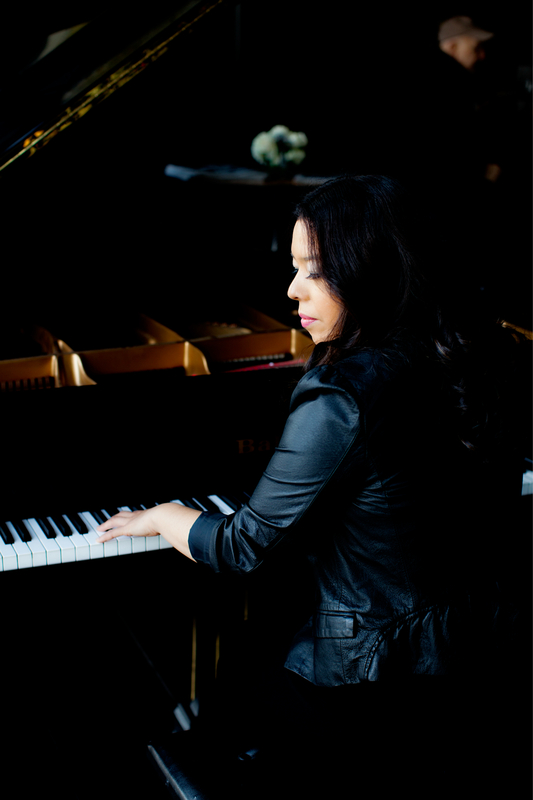 While she was at the Osaka College of Music, She attended Fuji jazz School in Kyoto and studied Jazz piano with well known teaher and jazz pianist Sadayasu Fujii. She is the first prize winner at the Yokohama Jazz Competition in 1996. She has toured and shared the stage with Kenny Garrett, Ralph Peterson, Sean Jones, Tia Fuller, Michael Dease Big Band, Vincent Herring, Bruce Williams, Roy Hargrove, JD Allen, Greg Osby, Cindy Blackman-Santana, Nnenna Freelon, and even the queen of soul, Aretha Franklin to name a few. Her own 2006 sophomore release Prelude to a Kiss received a five-star rating in Swing Journal. Her newest album Wide Angle got Swing Journal's Gold Disc Award in March 2009, Best Production Award in January, 2010. Drew high praise from the New York Times, and interview and frequent airplay from WBGO, and enthusiastic support from some of jazz's master musicians. "Miki Hayama is an amazing young pianist with great chops, a great harmonic concept and a great imagination ! " piano master Kenny Barron recently observed. .." legend Victor Lewis adds. High praise, indeed, and a sign that her star is on the rise ! She also plays Hammond organ with Gospel Choir at the Cathedral United Baptist Church in Bronx.